A glass balustrade is the perfect addition to any home or commercial property for a sleek, modern look. Used originally as a safety barrier, the creation of glass balustrades in place of their conventional counterparts mean that you can ensure the security of your property without sacrificing on style. Here at Abbey Glass, our high quality glass can be made into a glass balustrade for both internal and external use, tailored to complement your decor no matter where you need it placed. 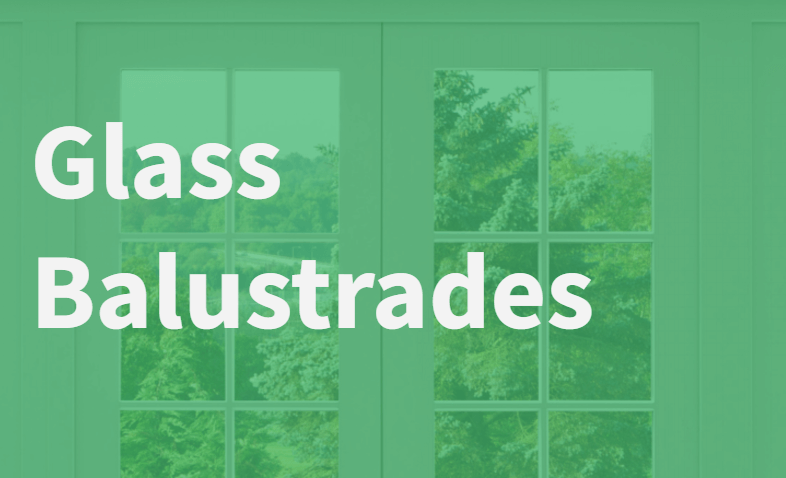 We’ve listed some of the perfect places for you to install a glass balustrade for a touch of luxury in your property. A balcony provides the perfect setting for a glass balustrade, providing the essential safety barrier required but with a beautiful and stylish look, too. If you have a balcony for your home such as a juliet balcony, or even a roof terrace, installing a glass balustrade there allows you to enjoy the surrounding scenery without it being blocked. For homes with a more modern decor, a glass balustrade provides a stylish alternative to a typical wooden handrail for your staircase and landing area. Not only will replacing the traditional handrail for your staircase with a glass balustrade give your home a beautiful, modern look, but it will also allow more light to fill the room. This is a particularly great method for transforming darker hallways into a light, bright area that is welcoming to be in. Balustrades can transform a typical garden into a relaxing, modern space to be enjoyed by everyone, providing a stylish frame for your decking or patio. A small glass balustrade can be useful in creating zones in your garden, separating the lawn for the kid’s to play on from the patio area meant for socialising and relaxing. Likewise, glass balustrades are extremely easy to clean, meaning your garden can stay looking beautifully modern with only the lowest level of maintenance required. Here at Abbey Glass, we provide quality glass products of all types, tailored to meet your specific requirements. Our glass can be cut to size while you wait, and we also provide toughened safety glass that provides the perfect balance of style and safety for your home. For more information, contact us today and we’ll be more than happy to provide further information on the glass products we provide.